Elegantly chic and stylishly cheerful. Uncompromising service and extensive facilities. Spectacular harbour views and comfortable prices. Welcome to the Newton Hotel- Hong Kong. Where we value you because we know what you value. We are right in the heart of where you want to be, with the bustling business district of Central, the shopping Mecca of Causeway Bay and the bright lights of Wanchai all close at hand. We're just a minute's walk from the MTR (subway) station a short ride from the Hong Kong Convention and Exhibition Centre, and within easy reach of the Cross Harbour Tunnel to Kowloon and Hong Kong International Airport at CLK. 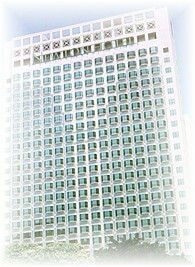 For business or pleasure, the Newton Hotel - Hong Kong puts you in a great position.